Aiken, SC--A celebration of life service for Ms. 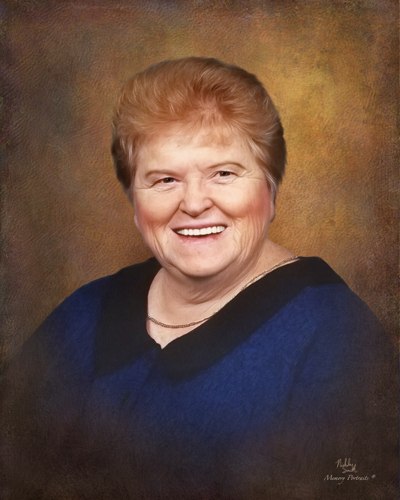 Jewel Elizabeth Camp age 80 will be held 12:00 noon Saturday March 23, 2019 at Mercy Church of God with Pastor Kenny Murphy and Pastor Tod Wilson officiating. Interment will follow in Aiken Memorial Park. Jewel entered into eternal rest Monday March 18, 2019 at Anchor Rehab Aiken. She was the daughter of the late Rev. J.B. Camp and the late Milda Edwardson Camp. She was a native of Seattle, Washington and had made Aiken her home for the past 44 years. As a child of a Church of God minister, she has lived all over. Jewel retired in 2000 after 20 years of service to ASCO (Thermo-Disc) as a production operator. She was an active member of Mercy Church of God where she attended the New Fire Class. Jewel loved to travel and attend family gatherings. Fishing and swimming were activities she enjoyed as well as going to Myrtle Beach with her friends. She will be sorely missed by every one that knew her and always remembered for her vibrant personality. Survivors include two sister-in-laws, Esther Camp, Aiken, Verna Camp (Merlin-Dec.) Hoyt, Aiken; nieces, Sylvia Davis, Aiken, Pat (Jim) Hopkins, Aiken, Janie (Kenneth Dec.) Bruce, Anderson, Merlita (Maynard) Shorey, Groveland, Florida; nephews, Joe B. (Debbie) Camp, Spartanburg, Joe A. (Joy) Camp, Aiken. Jewel was predeceased by her brothers, Earl Joseph Camp and Harold Franklin Camp. Serving as pallbearers will be Brian Barron, Steve Mills, Jamie Camp, David Christmas, Tony Rickard, Cody Barron, Kenny Antonich, and Tanner Hay. Honorary pallbearers will be the New Fire Class of Mercy Church. The family will receive friends starting at 11:00 am at the church until time of services. COLE FUNERAL HOME 1544 UNIVERSITY PARKWAY (118 BY PASS) AIKEN, SC, 29801. 803-648-7175. Please sign the online registry at www.colefuneralhomeinc.com.